There are many joys to be had on a visit to the lovely city to Sorrento. 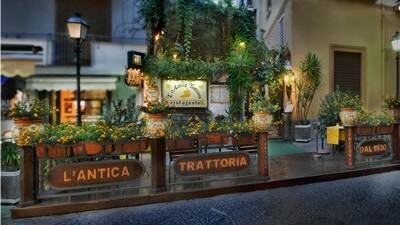 But, for me, one of the best will always be dining at L’Antica Trattoria. 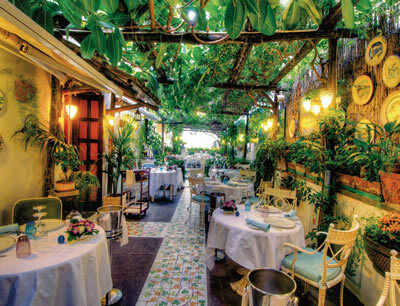 This dining room is bound up for me with the manifold pleasures offered by this lovely city on the Amalfi Coast. 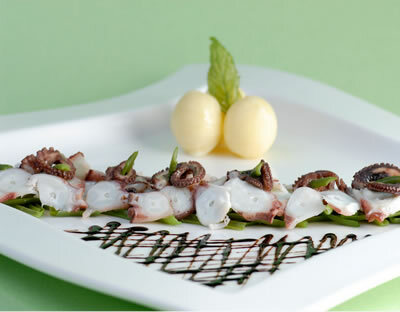 Indeed, L’Antica Trattoria is the embodiment of the town’s genius. Some restaurants are like that. 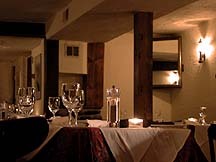 I suppose it is a combination of history, memorable food, fine wine, a comfortable environment and attentive service. But there is something more, too – perhaps partly to do with the fact that it is an establishment run by a family. Let us call it the moral dimension. It is the sense that there is something thoroughly good about the whole establishment. It is there on the faces of the staff and of the other customers. There is an unspoken feeling that we are all involved in something which is so worthwhile that our lives are going to be a tiny bit better as a result. Perhaps, dear Reader, you think that I am indulging in hyperbole. If so, you have probably not been to L’Antica Trattoria. As soon as I step off the street into this busy and popular eatery, I am always greeted in the most friendly and courteous manner. 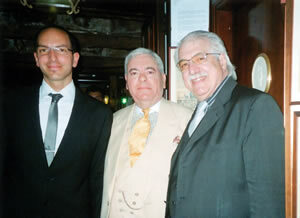 The restaurant is run by Aldo D’Oria and his sons, Antonio and Luca. I present to you a picture of myself with Mr D’Oria and Luca. They deserve much praise for the atmosphere of relaxed enjoyment which permeates their establishment. On my latest visit I was shown to what I have come to regard as “my” table – a good round table in the courtyard. Here I settled myself comfortably into a metal armchair with green cushions. Before me was proper white napery and good Riedel glassware (from the Restaurant range). The waiters wore black shirts. 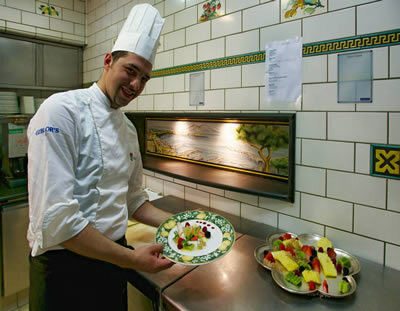 I surveyed the menu and found lots of options, with various set meals (from 45€ to 90€) or four courses from the carte for 60€. I chose the latter. You need to be aware that the portions at L’Antica Trattoria are generous. I began with some delicious roasted quail, both the breast and the legs – richly tasty, stuffed with porchetta, and set off to great effect by rucola, pear in red wine, provolone cheese, pan brioche and truffle sauce. 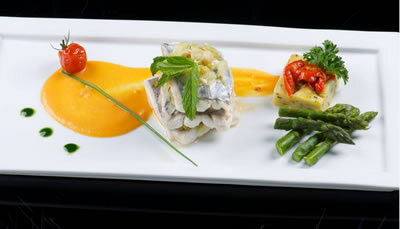 The combination of tastes and textures in this complex dish was lovely. I could easily have eaten another one, and then called it a day – but that would have been foolish, for it would have meant missing the other delights about which I am now about to tell you. My pasta was triangular ravioli, with ricotta, marjoram, zucchini, zucchini flowers and basil pesto. This was just the job, impressive in both conception and execution. Then came some wonderful pork – fillet – in mustard, with savoy cabbage, apple, blueberry sauce, small semolina dumplings flavoured with lemon and zucchini croquettes. There was a lot going on here (the kitchen is not afraid of hard work), but it was to good purpose, and I tucked in with relish. I decided a simple pudding would be a happy contrast, so I ended with a really good rum baba. Such a satisfying and happy meal deserved a memorable bottle of wine, and it got one. Primitivo is a grape which is often associated with cheaper wines, but, in the hands of a master winemaker, it can produce some of the loveliest red wines of the muscular sort I know. This 2010 Sonetto Primitivo Riserva was superbly deep and voluptuous, with tones of blackcurrant, leather and spice (C.Vini Manduria – 68€). This was lovely drinking. 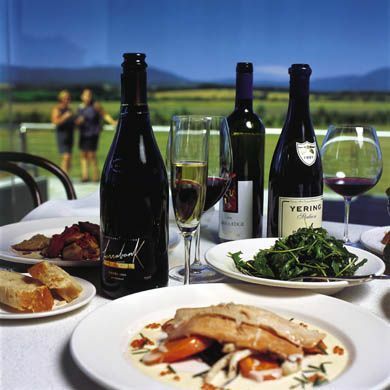 That such a splendid wine was available should be no surprise, for L’Antica Trattoria has a cellar with 30,000 bottles, and there are lots of goodies for the enthusiast. Good, too, that the prices are friendly. From the upper ranks of the offerings, I noticed the following temptations from Tuscany: 2011 Tignanello (120€), 2010 Ornellaia (280€), 2007 Sassicaia (280€), 2008 Solaia (180€) and 2008 Luce (160€); and from France, that impressive Margaux, Château Brane-Cantenac, in its 1996 vintage (119€). With eating and drinking of this quality, my dinner was what I knew it would be – an elegant evening of gracious courtesy and old-fashioned charm. This is the sort of visit to a restaurant which fills me with good feelings. 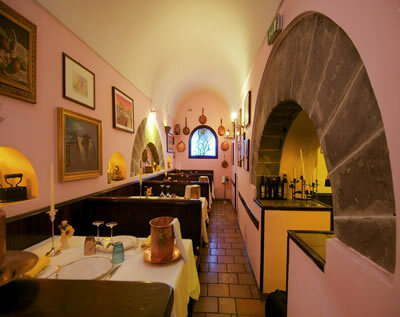 Dinner at L’Antica Trattoria continues to be one of real joys to be had in Sorrento. Via PR Giuliani 33, 80067 Sorrento, Italy.